Optimal performance in the racehorse is dependent on the healthy functioning of all the components of the musculoskeletal system. Bone is a dynamic tissue that remodels and adapts in response to the physical demands placed on it. Increased loading, through work at higher speeds, increases the strain on the long bones of the leg. The body responds by adding mineral in order to make the bone stronger and reduce the amount of strain. Conversely, when a horse is inactive, the process can operate in the other direction: In the absence of loading, the body detects the reduced strain on the bones and will remove the mineral perceived as unnecessary. While this process continues throughout the horse’s life, bone is most adaptable in the young, growing horse, says Dr. Brian Neilsen, an equine exercise physiologist in the Department of Animal Science at Michigan State University. As Neilsen explains, bone responds more readily to the magnitude of force placed on it, rather than how many times the force is applied. In other words, it’s the speed of the work (which produces a greater magnitude of force) rather than the distance that promotes an increase in bone density and strength. ‘And it doesn’t take a lot of strides at a high speed to maintain, and even increase, bone mass,’ he emphasizes. While the exact number of strides needed is not known for sure, one study using calves found that for animals kept in stalls, 50 metres of sprinting a day was sufficient to significantly increase the cross sectional thickness of the cannon bone. A similar study with weanling horses observed greater mineral content in the cannon bones of horses that sprinted 80 metres a day on grass. Due to the nature of bone physiology, combined with common practices in the management of young racehorse prospects, many horses actually have lower bone density when they begin speed training than they did when they were yearlings out at pasture, says Neilson, before they were brought in to be prepped for sale. Such changes are believed to take place within a matter of weeks. 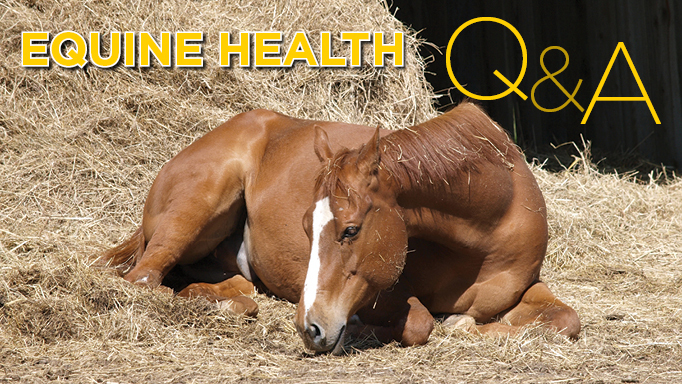 Furthermore, walking or other low-intensity exercise is not sufficient to maintain the level of density that is found when horses are turned out and have free-play. In a study that looked at two-year old Quarter Horses as they began race training, a decline in the mineral content of the cannon bones was observed over the first two months of training – during the period corresponding with ‘long, slow distance’ work. It was not until the two and a half month mark, where the training began to incorporate speed that the mineral content began to increase again. Without being allowed or encouraged to take any strides at full speed, it should be assumed the horse’s skeleton is not as strong as it could be, notes Neilsen. Particularly with young horses, caution should be used when introducing speed, especially where it has been absent for some time. ‘Until bone is adapted to new forces placed upon it, taking too may strides at a fast speed will injure rather than strengthen the bone.’ In the early stages of training, fast strides should be kept to a minimum, but they need to be a part of the overall training program, advises Neilsen. Ultimately, the progression of training intensity comes down the individual horse, says Neilsen, based on their genetics, conformation and management. Unlike bone, articular cartilage – the smooth layer of protective connective tissue that lines the end of bones where they meet in a joint – has a limited capacity to adapt in the mature horse. Research suggests, however, that in the growing horse, before the age of two, there may be a ‘window of opportunity’ to influence the quality of cartilage through exercise, so that it will develop to better withstand future athletic demands. What is very clear from the research is that stall confinement for foals without access to turnout and free exercise is detrimental to healthy cartilage development. ‘Both bones and joints need weight bearing and motion to maintain their health,’ says Dr. Wayne McIlwraith, Director of Orthopaedic Research at Colorado State University. While cartilage in the mature horse loses an adaptive capacity (and has limited ability to repair itself), regular movement and weight-bearing remain important in maintaining the health of the tissue. With no blood supply of its own, articular cartilage relies on the synovial fluid within the joint for nourishment. Movement of the joint during locomotion produces an ebb and flow of synovial fluid over the cartilage surfaces in the joint, providing lubrication and nutrients to the tissue. Excess wear and tear of the cartilage would appear to occur when the demands of exercise exceed the capacity of the other parts of the musculoskeletal system to keep the joint stable. Fatigue, poor conformation, unbalanced feet and uneven or otherwise unfavorable footing all have the potential to impact the forces acting on the joints. While cartilage tissue within joints is not responsive to conditioning beyond the early stages of growth and development in the horse, the ligaments that help support the joint can and do respond to increased exercise demands. (These ‘periarticular’ ligaments are different than the suspensory ligament of the lower limb, which is actually a modified muscle made up primarily of tendon fibres – and which responds to conditioning along the same lines as tendon tissue). Ligaments that connect bones together at joints play a key role in joint stability. As tough, fibrous bands of connective tissue they provide support for the joint so that bones do not move out of alignment. Numerous animal and human studies have shown that moderate exercise followed by adequate rest results, over time, in increased ligament strength, size and collagen content. Though there has been little research on the length of time this process takes in the horse, it is believed to occur gradually over a period of months. In addition to their role in providing support for the joint, ligaments also have a proprioceptive (sensory) function – that is they contain specialized nerve cells that provide feedback as to the movement and position of the joint. This information helps ensure safe movement of the joint and appropriate muscular response to conditions underfoot. Where ligaments become overloaded, due to insufficient conditioning, poor conformation or a misstep, joint stability is put at risk. Inflammation of ligaments, due to repetitive or acute injury, can also compromise their proprioceptive function which may lead to inaccuracies of movement that increase joint wear and tear. Similar to cartilage, the flexor tendons have a limited capacity to adapt to exercise conditioning or repair themselves from injury in the mature horse. 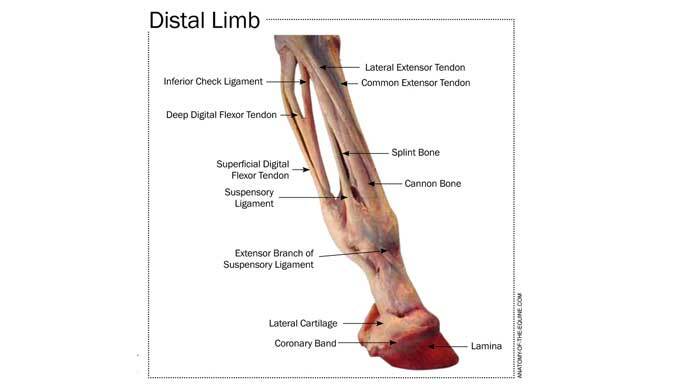 Tendons in the horse’s lower limbs develop in response to the loading patterns they experience, with the flexor tendons along the back of the leg subjected to more loading than the extensor (or ‘positional’) tendons which run along the front. As with other musculoskeletal tissues, pasture exercise early in life is considered essential for the healthy development of flexor tendons that are expected to be more resistant to injury in later life. Such developmental changes also unfortunately limit the ability of tendon tissue to repair itself in the face of injury. The SDF tendon and suspensory ligament also operate quite close to their failure limit during maximal loading, and with aging there is an accumulation of damage to the tissue over time. Since training undertaken after this switchover has occurred will have no effect on flexor tendon adaptation, conditioning should be directed at ensuring muscular, skeletal and cardiovascular fitness, with close attention paid to monitoring for any signs of overload or injury. 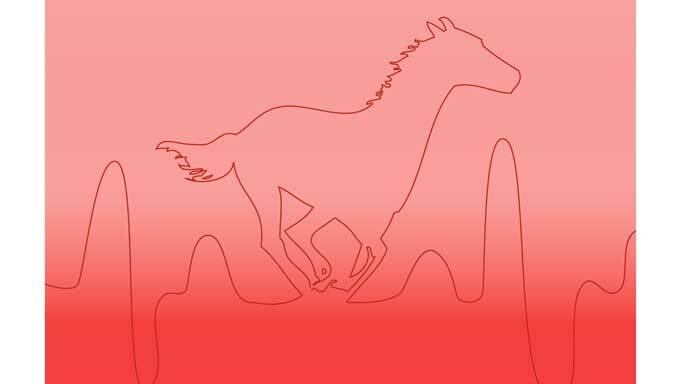 Perhaps the most resilient of all the components of the musculoskeletal system, a horse’s muscles maintain a high degree of adaptive plasticity throughout their life. Muscles respond fairly quickly to increasing exercise demands through a number of physiological responses that result in improved strength and endurance. Exercise that builds endurance leads to improvements in the muscle cells’ ability to metabolize energy. Cardiovascular adaptations also increase blood supply to the muscles as new blood vessels are formed, expanding the surface area where oxygen and nutrients can be supplied and metabolic waste materials taken away. Exercise requiring short bursts of power is primarily responsible for increasing muscle mass. As with bone, the ‘use it or lose it’ principle applies to muscle as well. When exercise demands are consistently reduced, many of the physiological adaptations will operate in reverse with an overall reduction in muscle mass, strength and fitness. Where movement is limited significantly, the thin layers of connective tissue between groups of muscle fibres can become thicker with collagen fibres laid down in a less organized pattern. 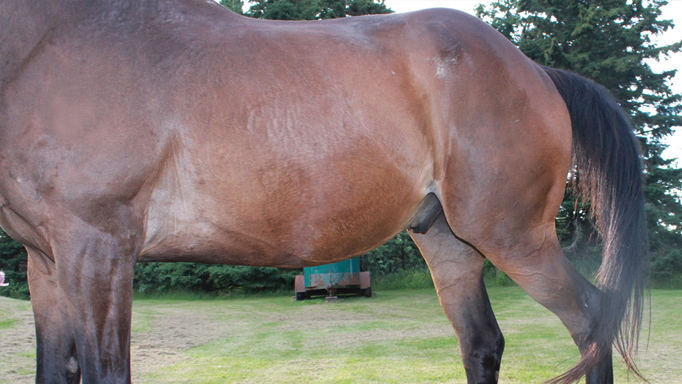 These changes have been observed to take place in animal studies after as little as two days of muscle immobilization and may create restrictions in the musculature. Muscle development and conditioning is critical for power, speed, stamina and coordination. Muscles also play a role in dampening vibration forces sent up the limb during the impact phase of the stride. Where muscles become fatigued, it puts other more vulnerable structures at risk like the tendons and the joints, underlining the importance of adequate conditioning for the level of athletic performance being asked.